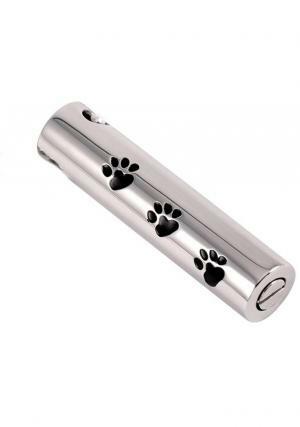 Cylindrical Paw Print Pendant is designed by our professional experts, which is built by stainless steel material. 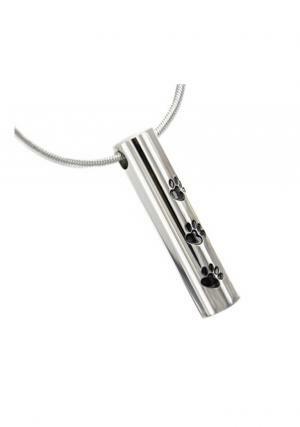 Jewellery pendent is used to store the token amount of ashes of your companion. 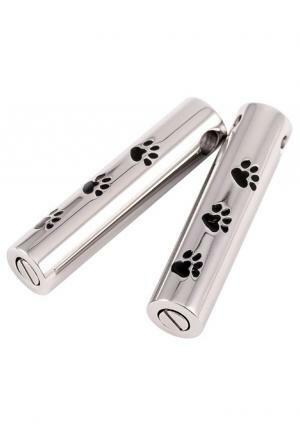 The memorial jewellery comes in cylindrical shape along with chain, which has black color little paw prints on it. 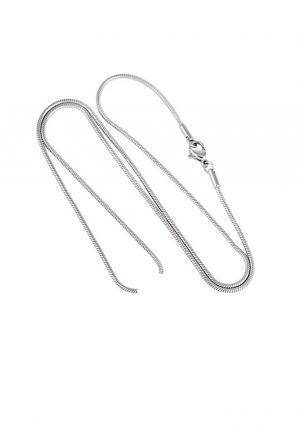 The pendant is 27 mm of size, weighs 0.1 kg and has the capacity of 1.1 cubic inches of ashes to hold. 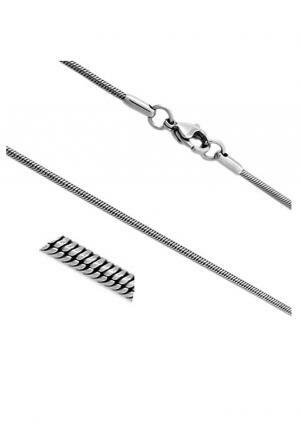 Length of the chain is 50 cm nearly. I presented it to my friend for her pet's ashes. She liked it very much. Very quick delivery and nice item.